(Macao, Nov. 2, 2018) – Discover the magic of winter at Sands Resorts Macao this holiday season until Feb. 28, 2019 and indulge in an exciting range of fabulous dining, shopping and entertainment choices alongside annual celebrations to create unforgettable festive memories with friends and loved ones. 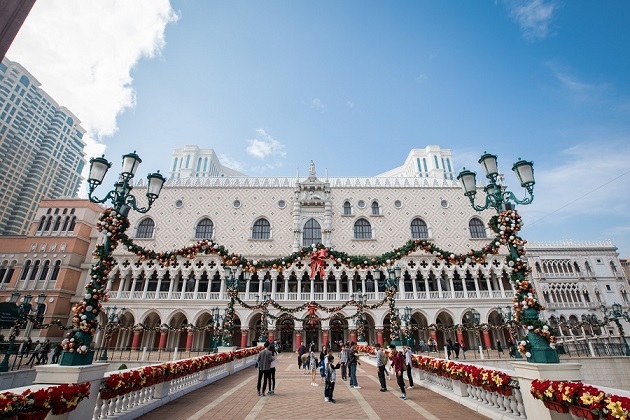 At The Venetian Macao visitors can enjoy the wonderful Winter in Venice decorations throughout the lagoon area including a beautiful Christmas train containing Santa and his grotto ready to welcome visitors. Over in St. Mark’s Square, a magnificent Longines Christmas tree will also be perfect for capturing memorable photos. 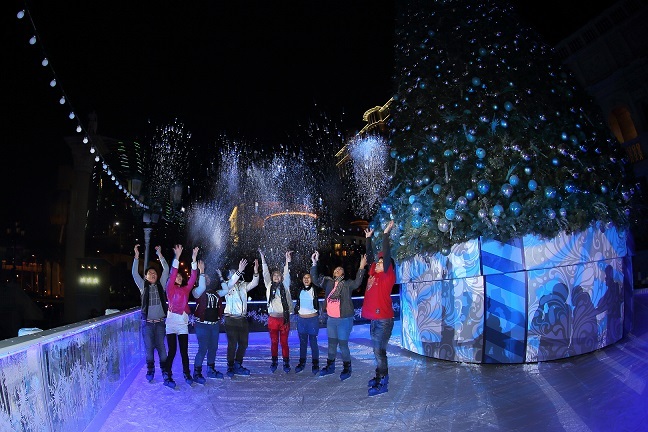 Meanwhile at The Parisian Macao, visitors can enjoy a special Winter in Paris snowy wonderland to celebrate the season. There will be twinkling lights around The Parisian Forecourt, along with festive reindeer and tree decorations throughout the gardens and Eiffel Tower to delight all ages. The showpiece will be a stunning inverted Christmas tree at The Parisian Macao’s lobby rotunda, based on the iconic original at Galeries Lafayette Paris. Another highlight will be the outdoor ice skating rink at The Eiffel Tower Level 7 observation deck. Guests can hire skates to show off their skills while enjoying roaming entertainment as well as winter food and drink treats. Attractions: Winter wonderland, real ice rink, falling snow, seasonal treats with seating areas and pop-up market booths. Admission: Event area free of charge; ice rink: MOP 50 for 30 mins. The Eiffel Tower’s Grand Illumination Show Christmas Edition light performance features two Christmas programmes based on seasonal hits “Jingle Bell Rock” and “All I Want for Christmas Is You”, and runs from Nov. 15 – Dec. 31, 2018. Another highlight of the winter celebration will be a dazzling 3D light and sound spectacular – La Magie De Noël – which will delight audiences by projecting beautiful festive images on the sky ceiling of the Place Vendôme at Shoppes at Parisian between Nov. 15 – Dec. 31 every 30 minutes from 12-9 p.m.
Over the festive season visitors can also take in an upcoming world-class concert at The Venetian Macao’s Cotai Arena, including Asia’s ‘King of Pop’ Leehom Wang on Dec. 1, and superstars Jay Chou from Dec. 14-17 and Aaron Kwok on Jan. 18-19, 2019. Families can also enjoy the spectacular Parisian themed show La Parisienne Cabaret Francais at the Parisian Theatre. Annual cultural festivities around Macao this winter also worth looking out for include the 18th Macau Food Festival (Nov. 9-25), the 65th Macau Grand Prix (Nov. 15-18), the Macao Light Festival (Dec. 2-31) and Macao International Parade (Dec. 16). Guests and visitors will be able to celebrate New Year’s Eve at Sands Resorts Macao with the biggest free countdown celebrations along the Cotai Strip. 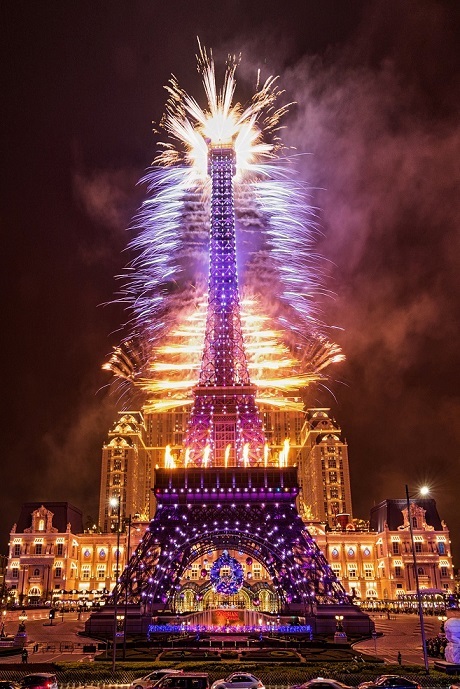 Taking place at The Venetian Macao’s Lagoon and The Parisian Macao on New Year’s Eve, the evening will include live music, festive food and drinks, giveaways and a spectacular fireworks show at midnight. It wouldn’t be a winter celebration without festive feasting! Reflecting Macao’s status as a UNESCO Creative City of Gastronomy means guests have plenty of choice when it comes to culinary delights on offer at Sands Resorts Macao. Enjoy over 150 dining options from street food to Michelin fine dining, with highlights including fabulous Saturday brunch at The Venetian Macao’s Portofino, seafood hot pot at The Parisian Macao’s Lotus Palace, French influenced Chinese cuisine at The Parisian Macao’s La Chine and David Beckham’s favourite egg tarts at The Parisian Macao. Meanwhile celebrity chef Henrique Sá Pessoa is bringing his contemporary Portuguese cuisine to the newly-opened Chiado at Sands Cotai Central. Visitors can indulge in some retail therapy and get all their Christmas gifts under one roof at Sands Shoppes Macao. Consisting of the interconnected Shoppes at Venetian, Shoppes at Four Seasons, Shoppes at Cotai Central, Shoppes at Parisian, Sands Shoppes Macao is the largest luxury retail experience in Macao, with 850 of the world’s best duty free brands, across more than two million square feet of opulent retail space. The recently expanded Shoppes at Cotai Central has added almost 100,000 square feet of retail space and more than 25 stores, including labels new to Macao, and an Apple Store. Sands Resorts Macao and Sands Macao are offering an array of accommodation offers for guests to enjoy a weekend getaway or family vacation this winter. With seven world-class hotels under one roof at Sands Resorts Macao and the luxurious Sands Macao on Macao Peninsula there are options for all tastes and budgets. 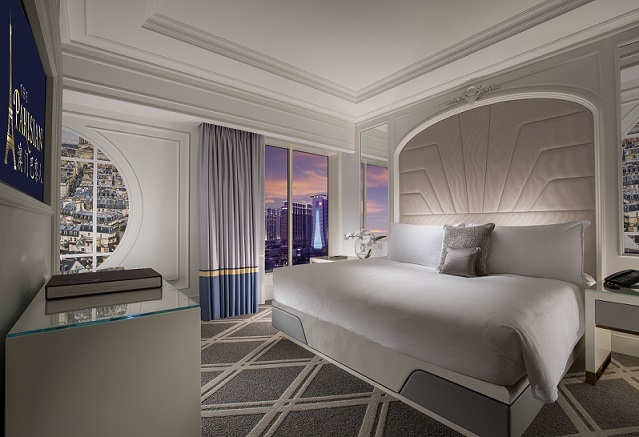 The Venetian Macao recently completed a full refurbishment of all its rooms including Premio Suites, while The Parisian Macao’s accommodation now includes the new Champagne Suites, featuring a fresh new design concept and luxurious amenities. Book your stay at Sands Resorts Macao and Sands Macao now and enjoy an unforgettable winter break! To learn more about offers at Sands Resorts Macao, please visit SandsResortsMacao.com/MagicalWinter. 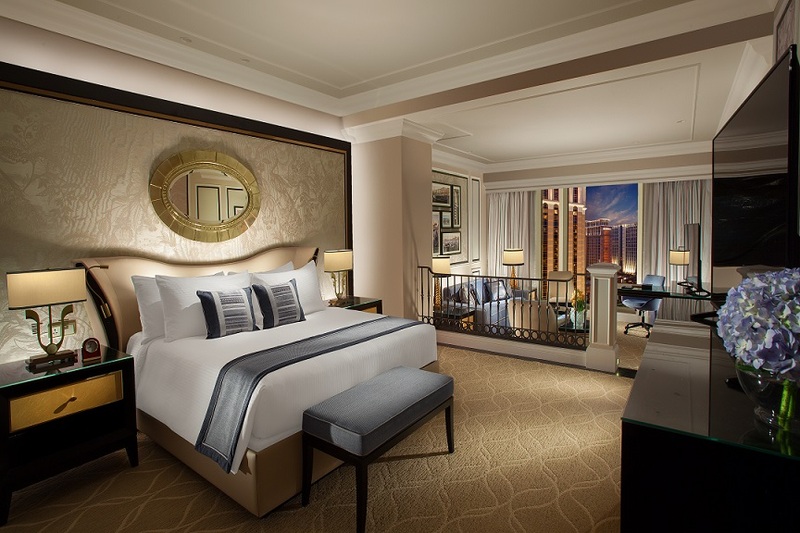 Photo caption: The Venetian Macao has completed a full refurbishment of all its rooms including Premio Royale Suites. Photo caption: The Parisian Macao’s recently added accommodation includes decadent Champagne Suites, offering a fresh design concept and luxurious amenities. Photo caption: The Venetian Macao will welcome visitors with Winter in Venice decorations throughout the lagoon area including a beautiful Christmas train containing Santa and his grotto. Photo caption: Guests can enjoy a genuine ice rink skating experience at The Eiffel Tower Level 7 observation deck as part of the Winter in Paris celebration. 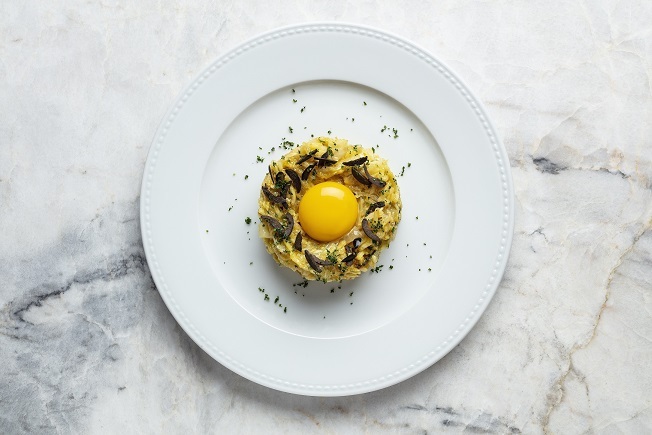 Photo caption: Salted cod à brás with slow-cooked egg yolk and onion purée is a signature dish at newly-opened Chiado at Sands Cotai Central for diners to sample this winter season. Photo caption: Join in Sands Resorts Macao New Year’s Eve countdown parties on Dec. 31, 2018, and bring in the New Year with friends and family.